Franke Instant Boiling Water Taps. 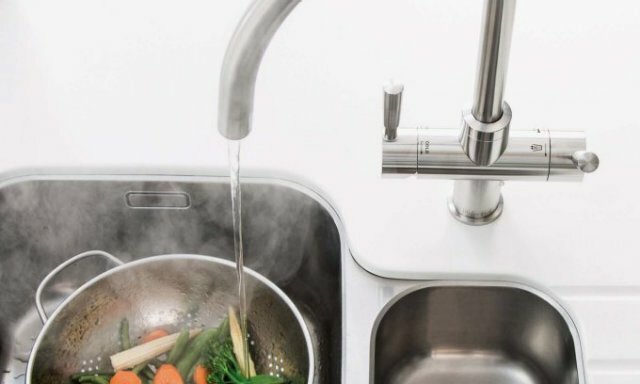 The future of the kitchen is here with the introduction of instant Franke boiling water taps. Franke boiling water taps supply hot, cold and instant 100°C boiling water. This saves time, energy and water. All in a single stylish, convenient and space-saving unit. 100°C boiling water is available instantly. You can now cook vegetables, create pasta dishes, sterilise baby’s bottles and make hot drinks quicker than ever before. 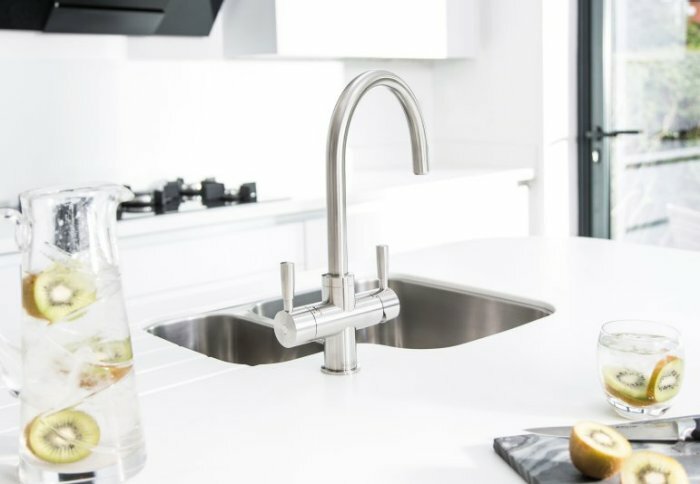 On the 4 in 1 and Duo models Franke boiling water taps can also dispense cold filtered water. The filter system gives you perfect tasting water for your hot drinks. This means no there is no need for expensive bottled water. Changing the filter is as easy as changing a light bulb. An LED will tell you when you need to. The Franke water filters last approximately six to nine months.